Bamboo t shirt for girls, produced under the international fair wear standards. Girls T shirt made of bamboo feels especially soft on your skin. It is produced under the Fair Wear Foundation standards. 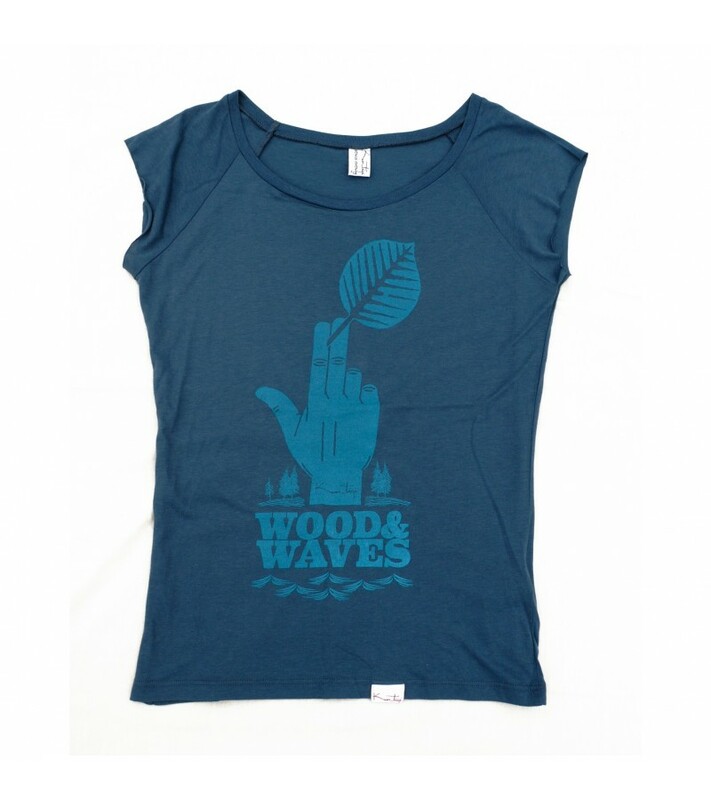 Beautiful screen printed "Wood&Waves" design with the Kun_tiqi logo.